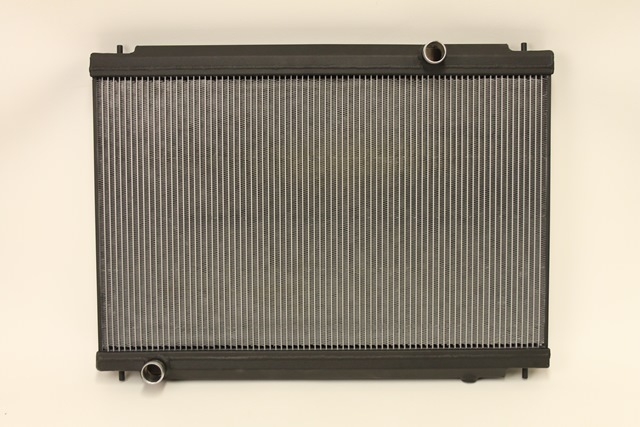 For the Nissan GTR35 we have now added to our range of products with an all alloy uprated radiator, it offers significantly improved thermal efficiency, thanks to its precision manufactured 760 x 480 x 43mm alloy core. The entire construction is TIG welded, by hand, before being subjected to the gruelling ISO standard pressure test, ensuring that it will significantly out-perform the OEM part. As well as being an essential for any modified or uprated GTR35, the new Forge part also solves the perennial problem with the OEM method of construction, with plastic end tanks failing. Bearing in mind radiator replacement is always much more fun – and considerably cheaper – before this problem occurs, the Forge radiator also makes a great case for itself as a preventative upgrade, even on a cherished standard car.